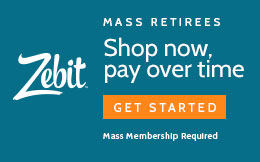 JULY 30, 2010: Despite the urging of Somerville Retirement Board member Jack Memory, that city's Retirement Board failed to take action on a 3% July COLA and, as a result, the retired members of the Somerville Retirement System, by "default," have lost this fiscal year's COLA. "The Board never put a COLA vote on its agenda, never put it on the table. It's inexcusable," says Association President Ralph White. "It's too late now. The window of opportunity is gone." JULY 14, 2010 (Updated): As the Essex Regional Retirement Board moves toward recovery under a well-publicized overhaul, a State House regular, Mike Hanlon, has been named as the Board's fifth member. Hanlon, a state retiree who ran the Commonwealth's Deferred Compensation Plan under former treasurer Shannon O'Brien, had earlier worked for the City of Boston and Middlesex County. He is currently the executive director of the Mass. Collectors and Treasurers Association. Association leaders combined a membership meeting with a political rally at a brunch at the Radisson Hotel in Plymouth on June 25th. The political side of the gathering of 250 members was in recognition of our Association's endorsement of Bill Keating, candidate for U.S. Representative of the 10th Congressional District, and Steve Grossman candidate for Treasurer and Receiver General of Massachusetts. JUNE 22, 2010: Officials with CVS Caremark and Walgreen have announced a compromise that will avert a near crisis in which Walgreen would have no longer filled prescriptions covered by CVS Caremark's pharmacy benefits management (PBM) service. The corporate battle between the country's two largest pharmacies heated up in early June over reimbursement rates paid by CVS. Our Association Executive Board has announced the unanimous vote of endorsement on behalf of Steve Grossman for the office of Treasurer of the Commonwealth, both in September's Democratic Primary Election and in the November General Election. The older we get the less we like change. 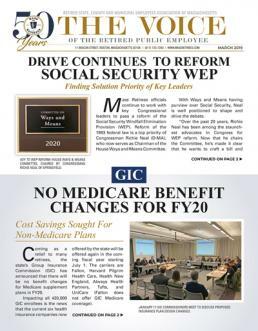 However, retirees insured by the Commonwealth's Group Insurance Commission's Unicare plans are assured by the GIC that the change from Express Scripts to CVS Caremark, as their prescription drug provider, will be relatively painless. In other words, folks; get used to it. In the world of major insurance contracts, including prescription drugs, change does happen. Express Scripts has had a nice run of ten years, since taking over the contract from Merck-Medco in July 2000. Our Annual Spring Luncheon will be held at the Holiday Inn, Route 1, Dedham on Friday, June 18, 2010, 12:00 noon. The Spring Luncheon is always a sellout. Please make your reservations early. All reservations must be made in advance by writing or phoning our Association office at (617) 723-7283. Members are welcome to bring along guests. The Holiday Inn is location at the junction of Routes 1 and 128. If travelling either north or south on Rt. 128, take Dedham Exit 15A. MARCH 3, 2010: On Tuesday, the Mass State Senate passed its version of the so-called "Safe Driver" bill (S2290). The bill, which drew a spirited debate amongst Senators from both parties, contains language that would require drivers age 75 and older to undergo a cognitive and physical abilities test in order to renew their license. February 16, 2010: The state's Group Insurance Commission (GIC) has voted to contract with CVS Caremark as the agency's new pharmacy benefits manager. The three-year contact will take affect on July 1, 2010. CVS Caremark replaces longtime pharmacy manager Express Scripts, which has held the GIC contract to provide drug benefits under the Indemnity, OME and other UniCare plans for the past eight years. GIC officials believe that CVS Caremark is better suited to provide pharmacy benefits management and enhanced services. NOVEMBER 10, 2009: With Medicare Part B rates set to increase by over 14% in 2010 for those who pay the premium directly or just recently enrolled in the federal program, the Association is urging our state's Congressional delegation to quickly pass H.R. 3631. The bill would freeze the Medicare Part B premium at the current $96.40 monthly premium. OCTOBER 27, 2009: There's good news at the Commonwealth's Pension Reserves Investment Management (PRIM) Board. PRIM has released its Year 2009 investment earnings report through the third quarter of this year showing a 14.32 percent return. The month of September was especially strong, with a 3.45% return, giving hope for a possible 20% return for the year if the strong market continues. White: "Time Is Now To Increase Base"
OCTOBER 27, 2009: On Monday, Association President Ralph White proposed a sweeping cost-of-living-adjustment (COLA) reform measure to the Joint Committee on Public Service , which heard testimony on a litany of bills aimed at increasing retiree pensions. While much testimony was presented on the need for a COLA base increase, White focused his remarks on a specific plan, formulated by our Association, which would incrementally increase the COLA base from the current $12,000 to a new $18,000 level. The increase would be rolled into the long-term pension funding schedules, which are about to be extended to accommodate fluctuations in the financial markets. OCTOBER 10, 2009: If state tax revenues are any indication, Massachusetts is a long way from returning to fiscal stability anytime soon. Just three months into the 2010 fiscal year, the Commonwealth is some $900 million in the red. As a result, Governor Patrick, along with Legislative Leaders have said that they are likely to make cuts in the existing budget. Following on the heels of over $2 billion in cuts in FY09, further spending reductions could prove devastating to programs funded by the state, as well through local aid. OCTOBER 9, 2009: Starting February 1, retirees from the Mass Turnpike Authority, as well as from the Barnstable, Bristol, Dukes, Nantucket, Norfolk, Plymouth and Suffolk County Sheriff Departments will receive their health insurance coverage from the state's Group Insurance Commission (GIC). Open enrollment for the GIC plans runs November 2-20th, 2009. In preparation of this transfer, the GIC is about to hold a series of Health Fairs that are designed to assist retirees in their selection of a new health insurance provider. Unfortunately for those retirees accustomed to being insured with Blue Cross Blue Shield, the BCBS is not a provider under the state plan. However, the GIC does offer ten different non-Medicare and nine Medicare plans from which to choose. NOVEMBER 2009: The world is truly flat when it comes to modern economics, as well as politics. With the information age of computers providing instant access to information, partnerships and coalitions are being formed that were unlikely just a few years ago. This summer the Association was contacted by The Grassroots Committee for Social Security Fairness , which is a Northern California based teachers' organization formed this spring. Their goal, like that of our Association, is to repeal the Social Security Windfall Elimination Provision (WEP) and Government Pension Offset (GPO). SEPTEMBER 2009: With a September 1 report deadline, the Special Pension Study Commission has been working vigorously throughout the summer preparing its report and recommendations for legislation to the House and Senate. This much-awaited report will actually be Phase II of pension reform, a top priority of the Governor and Legislature. Phase I was earlier addressed by the Legislature in June, when it repealed three highly publicized pension perks available to elected officials, among other steps. concept by President Obama, seems simple enough on the surface. SEPTEMBER 16, 2009: The Legislature's Joint Committee on Transportation has favorably released H3287, which would bring about new drivers license requirements for those age 75 and older. Chaired by Representative Joseph Wagner (D-Chicopee) and Senator Steven Baddour (D-Methuen), the Transportation Committee redrafted the bill (H3287), which follows a proposal originally filed by Senator Brian Joyce (D-Milton) that would have required driver retesting at age 85, lowers the threshold to age 75. NOVEMBER 2009: Plummeting tax revenues, at both the state and local levels, make for a difficult 2009-2010 Legislation Session. Despite raising over $900 million in new taxes, the Commonwealth is still facing a multi-billion dollar deficit and has had to make significant cuts in the new budget. The result is not simply a reduction in state-run programs, but also a 20% cut to local aid. SEPTEMBER 2009: Back in 1978, our Association was the lead sponsor of legislation that resulted in the passage of Chapter 511 of the Acts of â€™78. This law provided that motor vehicle insurance rates for a vehicle insured by a resident sixty-five years of age or older was to be twenty-five percent lower than the applicable rate of such classification. We regret to announce the death of Association Legislative Chairman Bill Hill, who passed away at his home on August 24. His funeral took place on August 27. His death was due to a severe pulmonary condition, which he had battled over the pastyear. AUGUST 11, 2009: A number of members, who are insured under the state insurance plan, are concerned by a letter they received from Express Scripts, the Commonwealth's Group Insurance Commission's prescription drug provider. The letter, which was sent to 42,000 Express Scripts subscribers, requires that these members must notify Express Scripts if they want to continue to receive their maintenance prescriptions (drugs taken regularly to treat an ongoing condition) through a local pharmacy rather than through "Home Delivery", the Express Scripts mail order pharmacy program. AUGUST 1, 2009: As President Barack Obama attempts to advance his healthcare reform initiative, Association members are left wondering how they may be impacted by a national insurance plan. The rhetoric and confusion being generated in Washington as to details of the various reform proposals has led to fear and anxiety amongst public retirees over the future of their own health insurance plans. While the Association has not taken a position on the President's proposal, we have been closely monitoring developments and studying the mountains of information coming out of Washington. As it now stands, the state-run Group Insurance Commission plans and local insurance plans (Blue Cross, Harvard Pilgrim, Tufts, etc) are not directly impacted by the federal reform proposals. JULY 31, 2009: State employees, who have not yet retired, should pay close attention to a proposal, contained in the outside sections of H4181 (supplemental budget), that dramatically increases the health insurance contributions paid by future retirees. H4181 was enacted and sent to the governor on Wednesday. The proposal, which was devised by Governor Patrick, creates what the legislation calls a “Healthcare Contribution Plan”, whereby active state employees can lock in the current 15% state retiree health insurance contribution. The catch – employees must announce their intention to retire by October 1, 2009 and then retire no later than January 31, 2010. Otherwise, the retiree insurance rate will jump to 20% for those active employees who do not take part in the plan (opting in by October 1) and retire by the end of January. JULY 2009: Following on the coattails of a groundbreaking legislative report that aims to control municipal healthcare costs through sweeping changes in the local insurance law (Chapter 32B), the state Senate has passed a provision, within its version of the FY'10 state budget, that significantly alters the governance of local insurance plans. In short, the proposal would force municipalities to bring their health insurance costs in line with those of the state, which are generally considered to be lower in many cases.